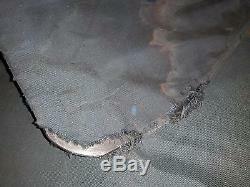 Original special forces bulletproof titanium personal shield BZT-75 (-75). 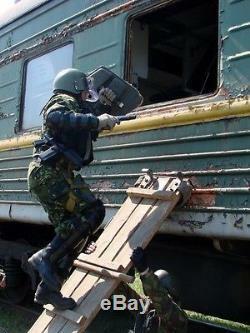 Used by Russian internal troops and special forces. Protective shield type BZT designed and manufactured as a means of personal body armor for personnel departments of internal affairs bodies. The metal part of the product provides protection from damaging factors firearms 3 protection class according to GOST R 50744-95. It has a trapezoidal shape with the fold axis of symmetry with respect to vertical and with rounded corners. 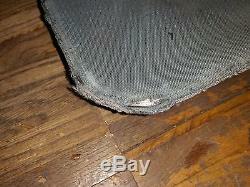 Protective shield held with one hand using a rubberized handle and a metal bracket, mounted on the rear side panel. Protection class according to GOST 50744-95: LEVEL 3. The area of protection, dm2: 21.5. Weight 3 protection class, kg: not more than 5.3 KG!!! It is ORIGINAL army-stock handy shield, not replica! 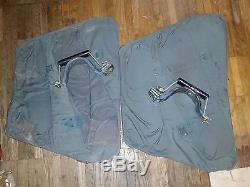 Carry bag - i add free if possible. This shield is ready to protect, don't lose its properties, not damaged. 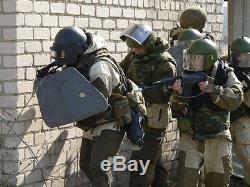 Also availible great collectible Soviet army items, great russian federation army items. 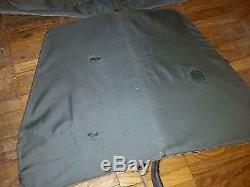 Bulletproof vests, bulletproof vest covers, bulletproof helmets. 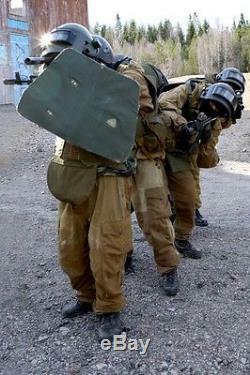 Bulletproof helmets covers, bulletproof shields, load vests. Helmet, lshz 2 dt helmet, russian specnaz helmets. 6sh112 load vest, 6sh116 load vest, tarzan load vest, 6sh92 load vest, zhtu razvedchik (scout) load vest, soviet afganistal load vest. 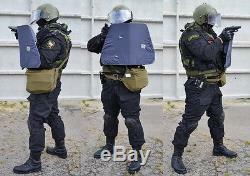 The item "BZT-75 TITANIUM ARMOR SHIELD (SOVIET RUSSIAN SPECIAL FORCES MVD OMON MIA SOBR)" is in sale since Monday, November 14, 2016. This item is in the category "Collectibles\Militaria\Current Militaria (2001-Now)\Original Items\Personal, Field Gear\Other Current Field Gear". 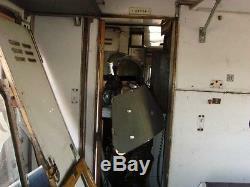 The seller is "uka767" and is located in Moscow, default. This item can be shipped worldwide.